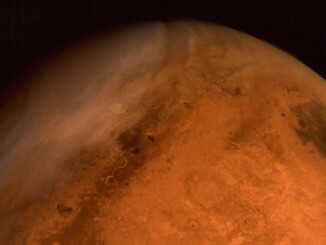 Information on Spirit’s condition could give engineers insight into how extreme temperature swings, dust storms and possible micrometeorites affect hardware like coatings, optics, actuators and cabling on Mars, providing a bonus opportunity for a “long duration exposure experiment,” scientists said. “This data will aid in design of future surface systems, equipment and structures for both manned and robotic exploration of Mars,” scientists wrote in a presentation backing the Columbia Hills site. Spirit ended its mission before reaching several more geologic features scientists wanted to visit. 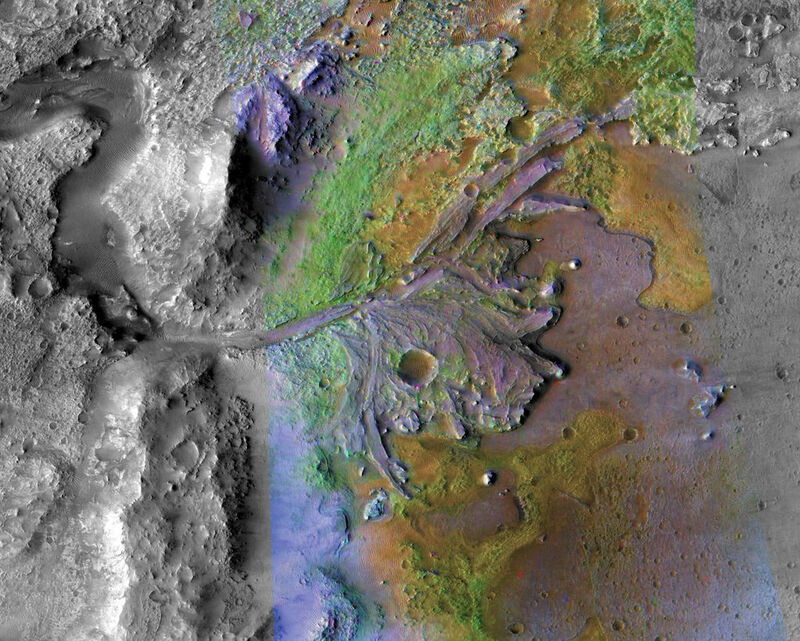 The other two potential targets for the Mars 2020 rover are Jezero Crater, home to an ancient river delta, and a region named Northeast Syrtis, a location that appears to be rich in layered clays with some of the oldest terrain found on Mars. 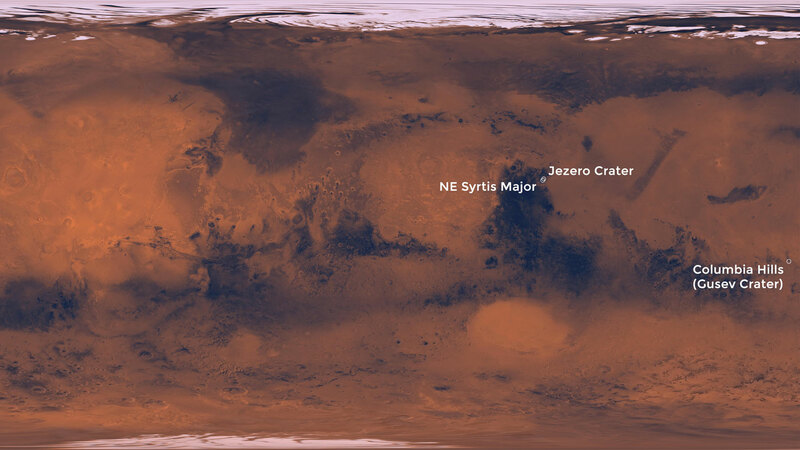 Jezero and Northeast Syrtis — about 30 miles (50 kilometers) apart — lie at about 18 degrees north latitude. Neither place has been explored on the surface. Imagery obtained from NASA’s Mars Reconnaissance Orbiter show clear evidence of a dried-up river delta that fed a lake. 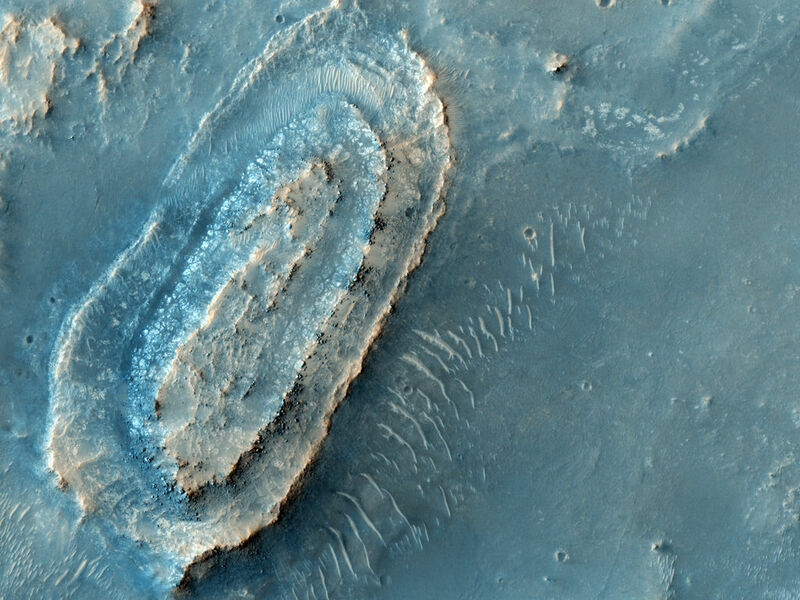 Scientists think the delta deposits, which came from a watershed stretching 4,600 square miles (nearly 12,000 square kilometers), offer one of the best places on Mars to look for preserved organic matter and biomarkers in samples the rover could scoop up and store for return to Earth by a later mission. “Any organic matter that might have been in that [watershed] is going to get concentrated in an area we can explore with a rover,” said Tim Goudge, a postdoctoral fellow at the University of Texas at Austin who made the case for Jezero Crater. “That makes it easier to maybe find the needle in the haystack because you’re potentially collecting lots of needles in one spot,” Goudge said in a Brown University press release. Once the Jezero lake dried up, water may have continued to flow into the crater, stacking layers of clay minerals that hardened to form sedimentary rock. Jezero received the most votes during the landing site conclave. Orbital observations show the nearby Northeast Syrtis site, the second-leading vote-getter, is covered in the remains of an underground hydrothermal system. 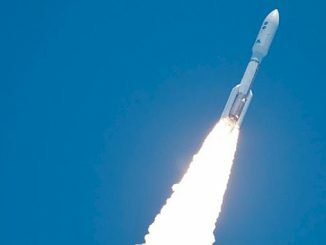 Supporters of this landing destination point to scattered patches of carbonate, made from interactions between water and the mineral olivine, a process that produces hydrogen molecules, a possible energy source for microbes. The age of some of the exposed rocks at Northeast Syrtis also makes for an attractive target. 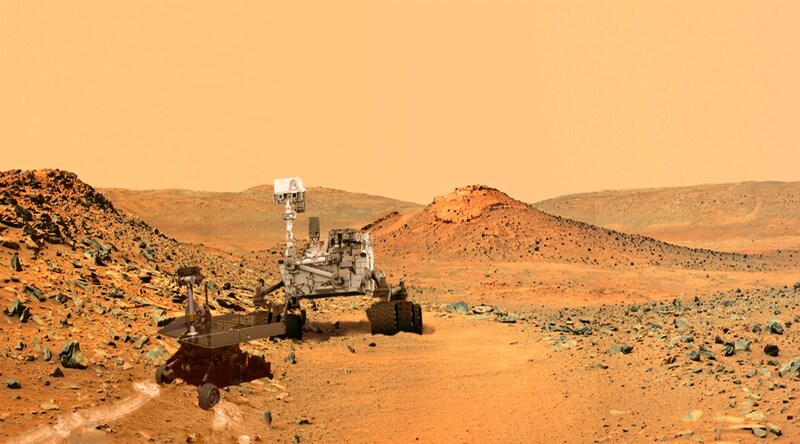 All three candidate landing sites meet NASA’s engineering requirements, providing a safe, relatively flat and boulder-less location for the rover to touch down on the surface. 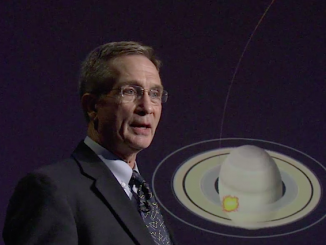 Scientific concerns will drive mission managers’ recommendation of one or two primary landing sites at a future meeting. Officials at NASA Headquarters charged with a final decision are expected to endorse one of the top destinations scientists recommend.